You followed the rules. 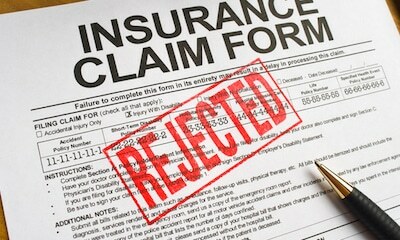 You bought the automobile or homeowners insurance that the State of New Jersey or the bank required you to purchase. You paid your premiums every year, in full and on time. Then you had an automobile accident or a storm blew a tree onto your house. Now, when you need coverage the most, the insurance company delays paying your benefits or denies your claim for no good reason. How is this fair? What can you do? The answer to the first question is no it is not fair. In New Jersey, the answer to the second question is very little … until now. The 218th New Jersey Legislature met for the first time on January 9, 2018, when the 80 members of the Assembly and 40 members of the Senate were sworn into office. Democrats control the Assembly by a margin of 54-26. Craig Coughlin elected as Assembly Speaker Louis D. Greenwald was re-elected as the Assembly Majority Leader. Democrats control the State Senate by a margin of 25-15. Stephen M. Sweeney was re-elected as Senate President. He has held that post since 2010. Loretta Weinberg was re-elected as the Senate Majority Leader. Republicans have selected Tom Kean, Jr. to lead them in the Senate as Senate Minority Leader. Jon M. Bramnick has been selected as the Assembly Minority Leader. NJAJ will continue to advance the cause of justice for all by working to preserve access to the courts for all and supporting a strong and vibrant civil justice system that protects consumers and people injured through the negligence of others and strives for the goal of justice for all.